We don't often make a pause for self-promotion, but we would like to make our newer readers aware of the e-books over at Scribd. 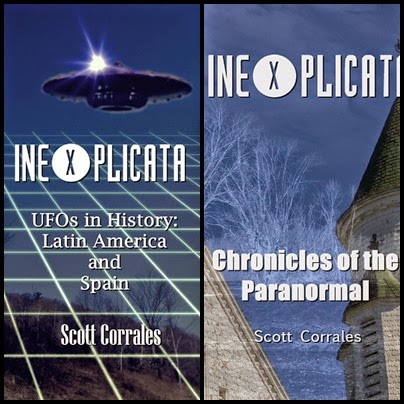 INEXPLICATA Chronicles of the Paranormal and INEXPLICATA UFOs in Latin America and Spain provide extensive background material on the case histories we have covered since our inception in 1998. And you can't beat free, right? Stop over at www.scribd.com/scott_corrales for a look - there are other titles that may also be of interest to students of the supernatural.